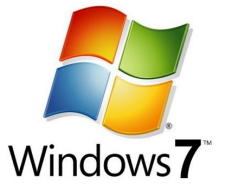 To check the installed or added devices on a Windows PC, we use to check the “Device Manager” utility available in Windows XP, Vista and Windows 7 computers. If you want to have more options bundled in that kind of device manager, you should try some better alternatives. Advance features like opening the registry window for installed devices (RegEdit command), view drivers installed on remote computers in same network, list view of drivers installed rather than tree view etc. are available in alternatives of device manager’s default options. Device Manager utility is self sufficient for handling basic needs but for advance user, there is always a better solution. [ad id=’9′ style=’float:left;margin:10px 10px 10px 0′]If you are looking for a better alternative for Windows 7 device manager, then you should try DevManView utility which is available for free. This small utility can list the drivers installed on your Windows computer and then let you also view the drivers and devices installed on remote computers. 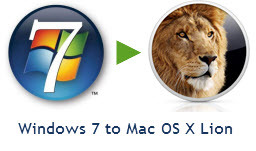 In Windows XP, you can install and uninstall the drivers on remote computers as well, but in Windows 7 and Vista environment, you can’t do that for remote computers using this utility. As we know, Microsoft enhanced the security system in these operating system versions, so you can’t do that in these versions. To open the registry of drivers installed on Windows PC, you can right click on the DevManView list of drivers on its window and select “Open in RegEdit”. It will open the registry editor for that particular device driver. If you want to open default Device Manager in Windows 7, go to Desktop. Tight click on “My Computer” and select “Properties”. On left panel, you can see “Device Manager” option. Click on that to open the default device manager utility. You can also open the Device Manager from Control Panel. If you are using any other alternative for Device Manager Windows Utility, let us know through comments.